As a homeowner, it never fails that every few months something leaks, squeaks, breaks or dies. For the things that can't be fixed, kicked, patched or rigged, knowing when to buy a replacement could save you hundreds of dollars, even waiting a week could make all the difference. There really is a, best time to buy a car. "In these high-tech times, you might think the days when the calendar dictated when consumer goods would go on sale are behind us. Not so. 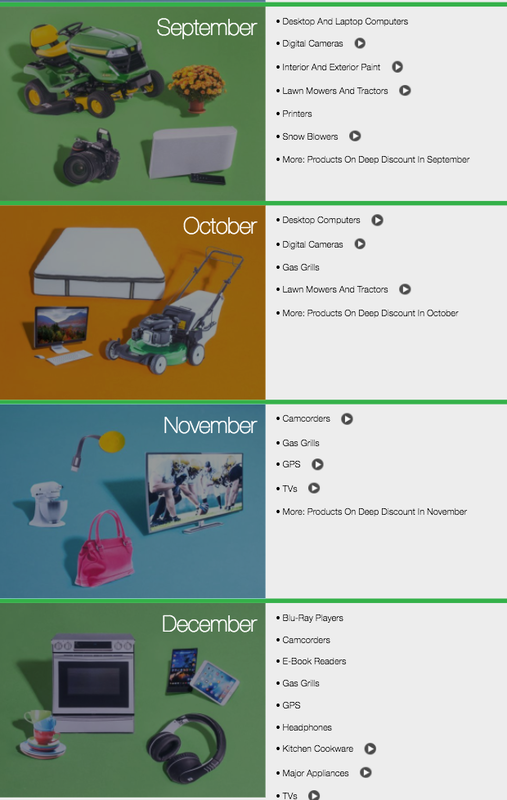 Consumer Reports' market analysts have found that deep discounts for many products are still tied to a particular month of the year: Some sales are timed to the introduction of new models, while others are long-standing traditions, such as January white sales. 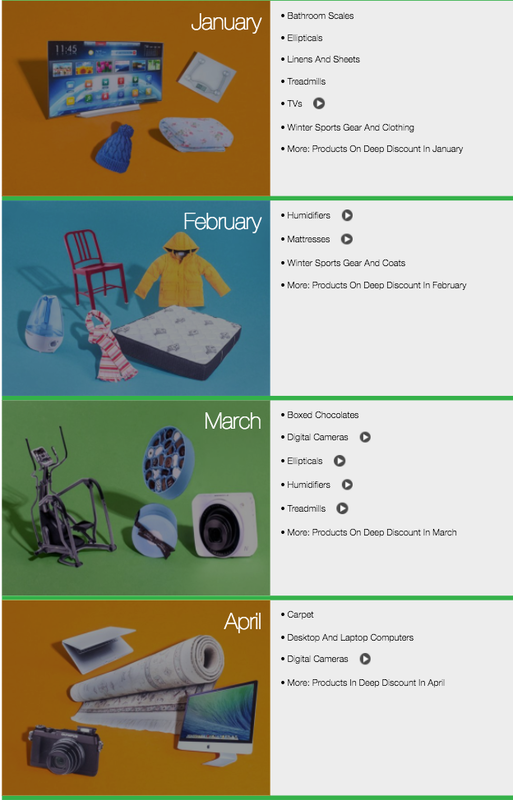 Consumer Reports' market analysts have found that deep discounts for many products are still tied to a particular month of the year: Some sales are timed to the introduction of new models, while others are long-standing traditions, such as January white sales." 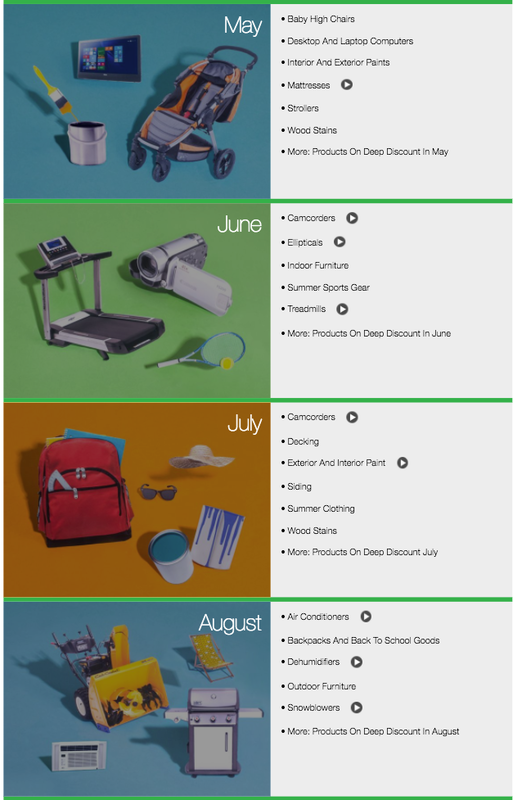 Below is a list of the best time to buy various big-ticket items according to consumer reports. For the best time to buy a car and the free Consumer Reports Car Buyer's Guide click, here. For the complete Consumer Reports Buyer's Guide click, here.